Guest Chapel Leader – The President! 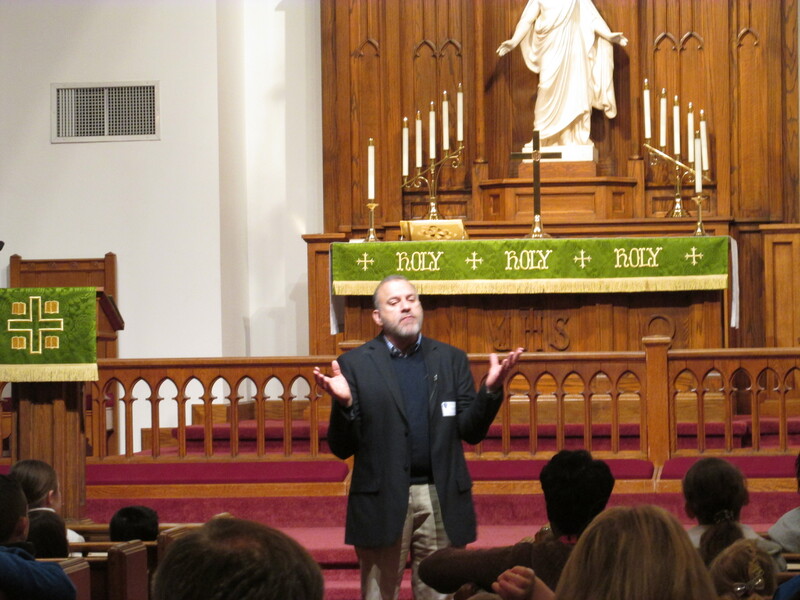 Our third visit from our District Office, Trinity Lutheran School welcomed our very own President, Rev. Gregory Walton at chapel as a special leader for our service on February 4, 2015! We were super excited to have President Walton come to talk with our kids about how we can look to Jesus, the Light of the World, especially during Epiphany. President Walton reminded our students that Jesus came as the Light of the World to cleanse us so that we could be perfect in God’s sight, and therefore join Him in heaven. How did President Walton do this? He surely shocked everyone in the church when he took a sheet of paper with a drawing of a heart containing the word “sin” and tossed it into a lit candle! As the flame, representing Jesus, engulfed the paper and symbolically our sin, it left no trace of ash or smoke as it completely disappeared! What an incredible image…our kids were silent, completely breathless by this amazing representation of God’s love and forgiveness. We are incredibly lucky to have our District Office so close to home that we get these visits. It is important that these people who support our church and school receive the thanks they deserve for all they do for us. Click here to send President Gregory Walton (gwalton@flgadistrict.org) an email thanking him for sharing his time and thoughts with us!